Very productive day in the garden today. I started by re-potting the raspberry canes. The soil line had dropped by about 4 inches in the pot. I also cut the old canes off and cut back the weaker ones. I think it will be much happier this growing season. In the green house I planted tomato seeds for both my garden and the Haven garden as well as hot peppers and sweet peppers. 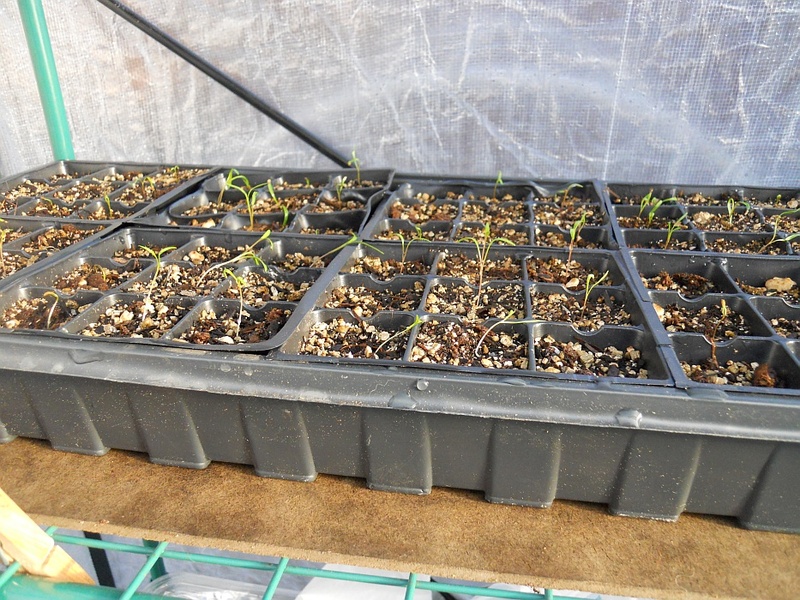 Most of the carrot seeds have sprouted. 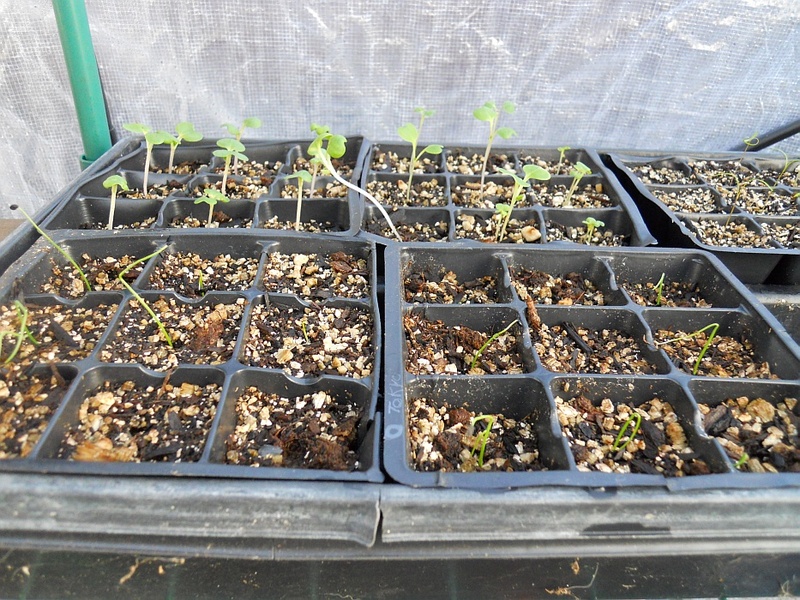 I pulled them off the heat mat and will give them a few more days in the green house before I move them to bed 2. I also pulled the bok choy, pak choy, onions and dill off the heat mat. The choy was starting to get leggy. Removing it from the heat it should slow their growth down a bit. 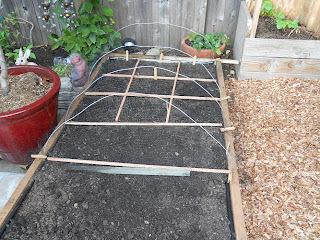 I'm trying a Winter sowing experiment in part of bed two. I planted cilantro, lettuce and spinach seeds in the back half of the bed. I did not water them since we will get some rain this week. I'm going to let nature do it's thing and keep notes on when the seeds sprout. Bed 2 is only getting about three hours of sun so it will be interesting to see how they do. I really miss my Square Foot grid. I had to lay some stakes down and used the planting template I bought from Ribbit over at The Corner Yard. I need to come up with a removable grid. 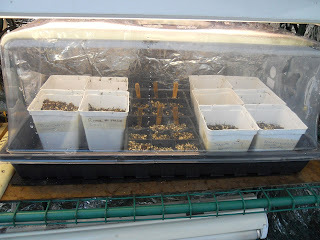 Well, it looks like your seed starting is prgressing nicely. You definitely picked good crops for your experiment. I always have a hard time growing cilantro. Since my gardens get sun most of the day. It always bolts on me. I am going to have to plant it in a pot and find a place to put it that gets some shade. 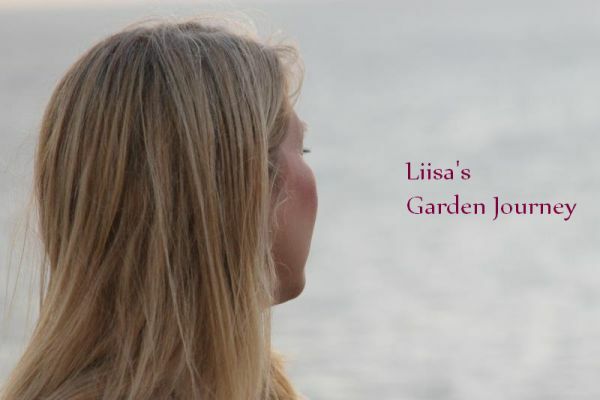 Robin - I have only been able to grow cilantro successfully one time. They always bolt on me too. 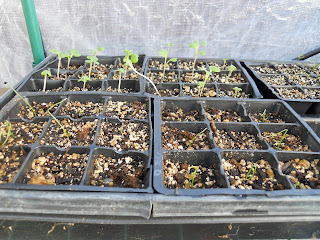 as for the experiment...We didn't get as much rain as we hoped for yesterday but I'm still going to hold off on watering since we are due for some rain tomorrow (Thursday). I'm sure the seeds will grow just curious to see when.